"Odysea" is a highly customized Hampton Skylounge Motoryacht in new condition with all the bells and whistles. She features 4 Staterooms and 5 Heads. Powered by Caterpillar C18 1150 hp motors with only 365 Hours. Some of her upgrades are ABT Trac zero speed stabilizers, ZF Joystick controls with Position Hold, Hydraulic Bow & Stern Thrusters, Aft Deck Controls both port and starboard side. 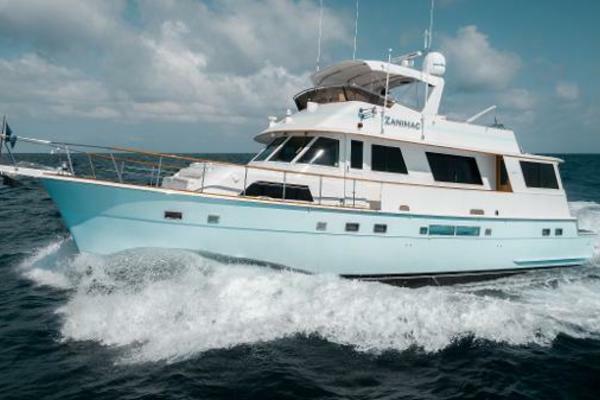 Stidd power helm chairs with Garmin Grid at Captains chair, Diesel Furnace w/Hydronic heating throughout including heated floors in galley, guest heads and showers. There is a day head in the sky lounge. The 14' Tender can be stored on the integrated swim platform, or on the boat deck, launched from either via the Brower 1600 pound capacity davit. Full Garmin black box electronics suite includes 3 17" screens at helm. he also includes a Bluewater Water Maker, Under Water Lights, The list goes on. 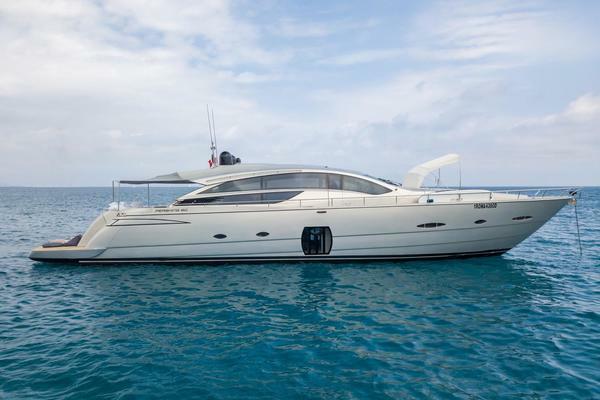 More info and photos to come... Owners change in plans makes this turn key yacht available now. LLC Owned! United Yacht Sales New Jersey would love to guide you through a personal showing of this 76' Hampton 76 2014. This yacht for sale is located in San Diego, California and priced at $3,100,000. For a showing please contact us by filling out the form on this page and we will get back to you shortly!